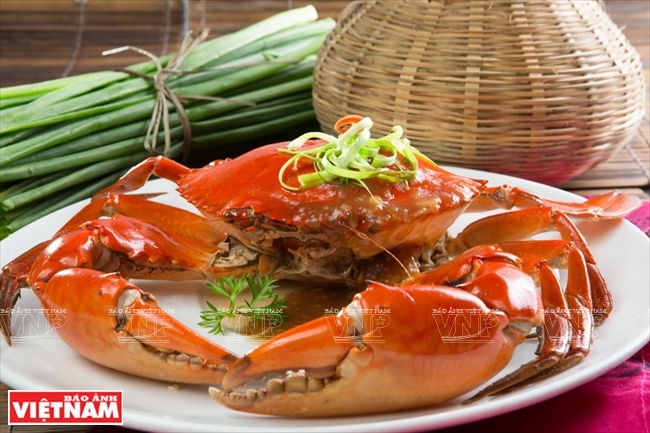 Known as a delicious and nutritious dish, roasted crab with tamarind sauce is not only a must-have dish on the menu of every seafood restaurant, but also a favourite of each family. First, clean the crab and remove its carapace. Then separate the claws and cut the body into four pieces. 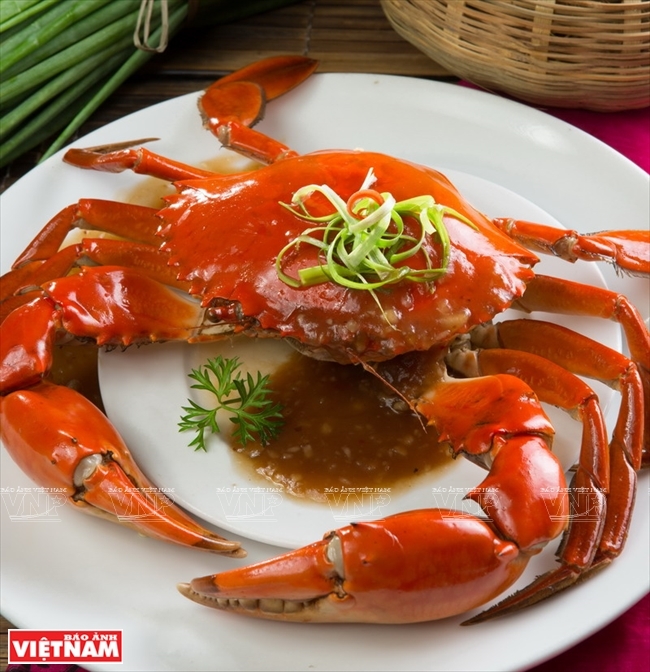 Use a pestle to slightly crack the claws to make the sauce adsorb easily into the crab meat. Fry the crab pieces in hot oil until they turn orange and put them on a plate. Second, mix tamarind with warm water. Filter this liquid to remove the tamarind seeds. Add sugar, salt, seasoning and chili to make the sauce sweet and sour. Cook this sauce till it becomes thick. Pour the sauce onto the fried crab to make it stick around the crab pieces. Put the dish on a plate to keep the sweet, sour and hot taste of this special food . Besides the basic recipe, chefs often add spring onions or chili sauce to the tamarind sauce to make the dish more attractive.